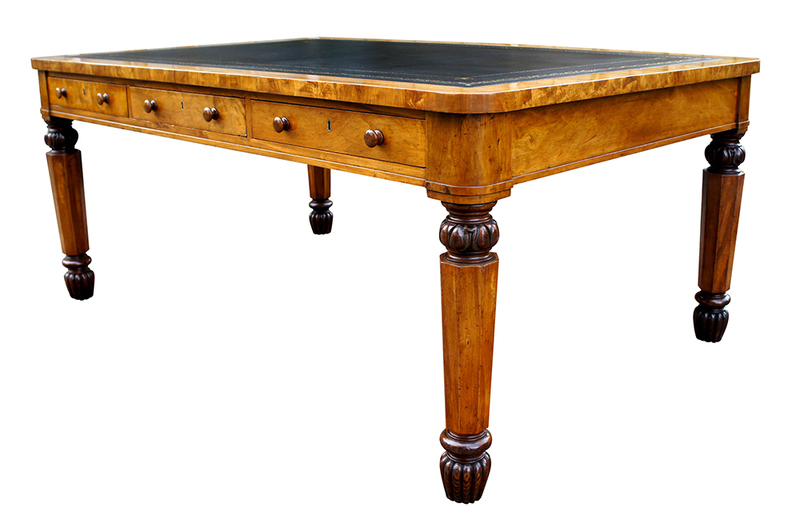 This impressive and fine quality antique library table or desk is made from well figured *satinwood. The rarity and quality of this piece suggests that it has been specially commissioned. 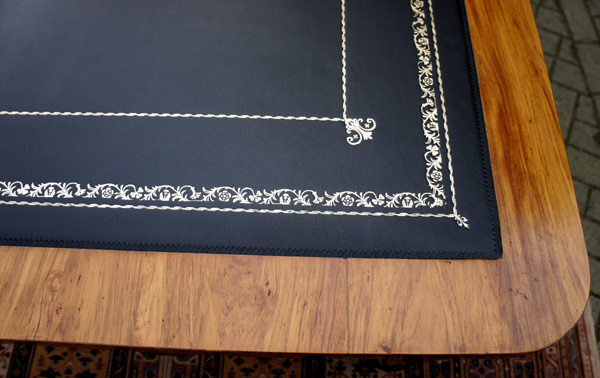 The table had benefited from professional restoration which includes cleaning and polishing. 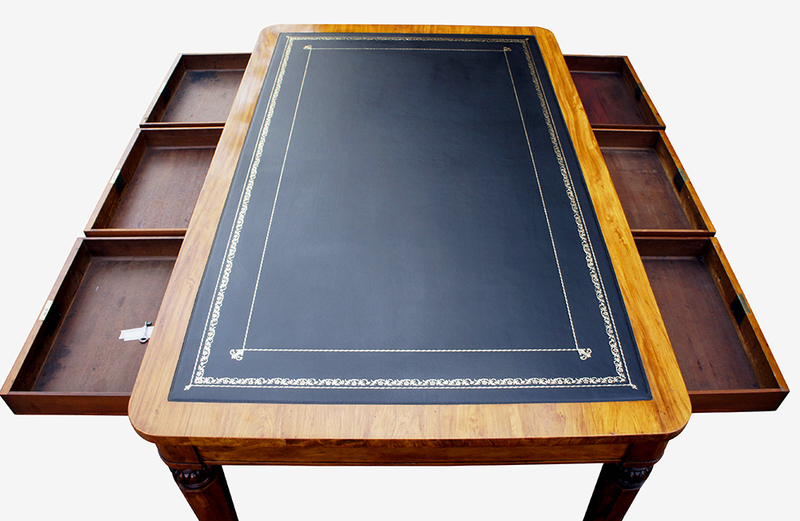 The top has a replacement black hide writing leather with gilt and blind tooling which is surrounded by a band of satinwood with rounded corners. 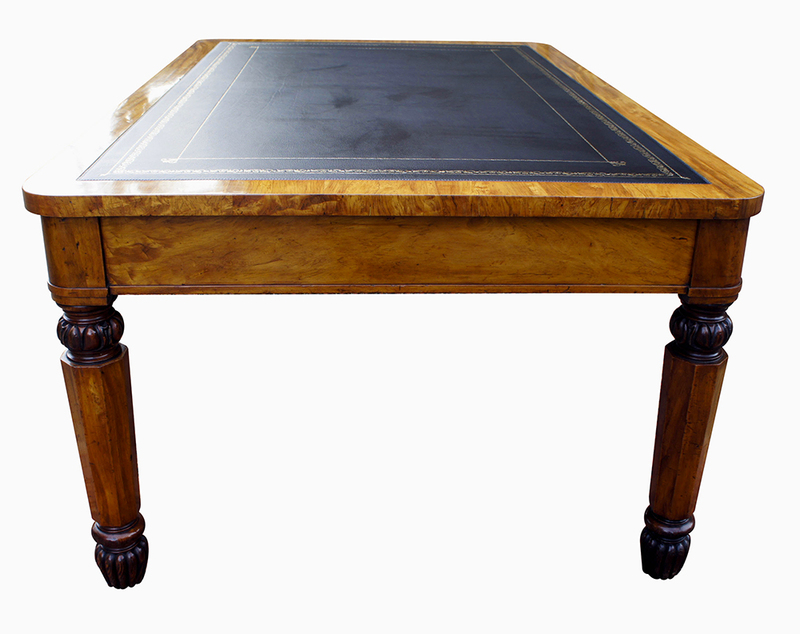 This impressive and fine quality antique library table or desk is made from well figured *satinwood. The rarity and quality of this piece suggests that it has been specially commissioned. 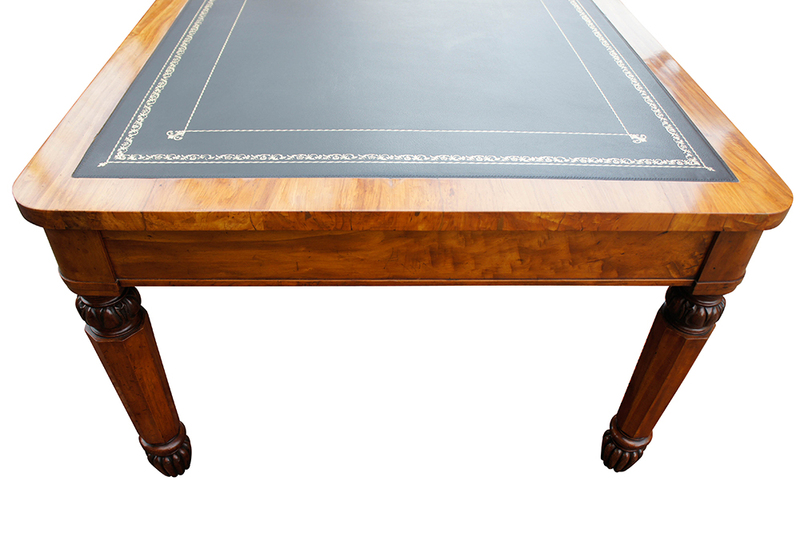 The table had benefited from professional restoration which includes cleaning and polishing. 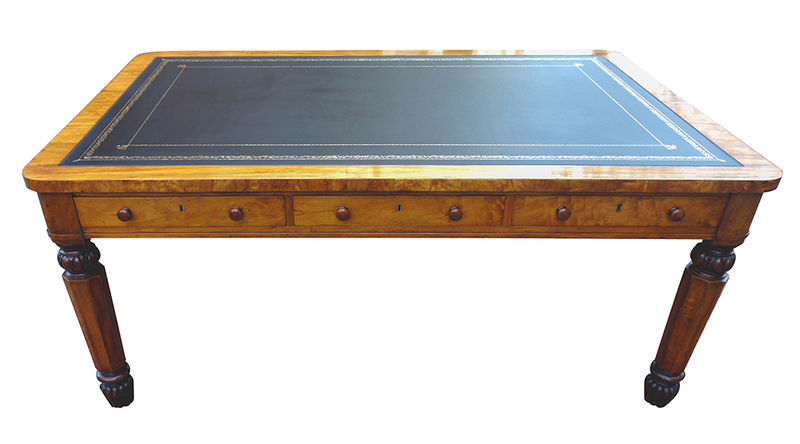 which is surrounded by a band of satinwood with rounded corners. original brass locks, with key and turned wooden knobs. to the tops and reeded melon shaped feet with hidden castors. 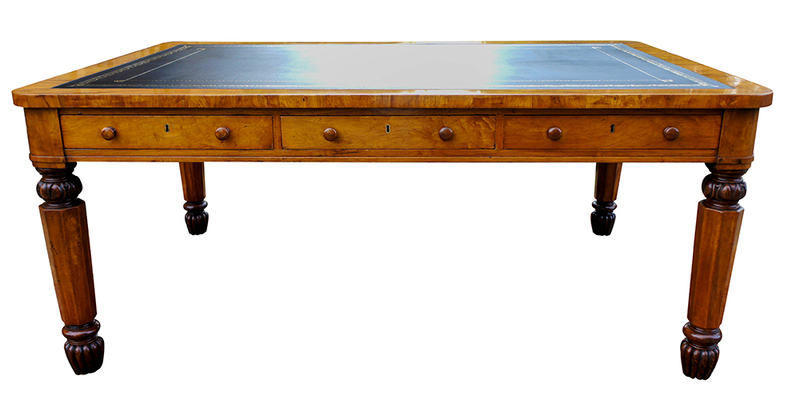 A large satinwood desk/library table of this type is extremely rare, it has a glorious honey colour and in fine antique condition. 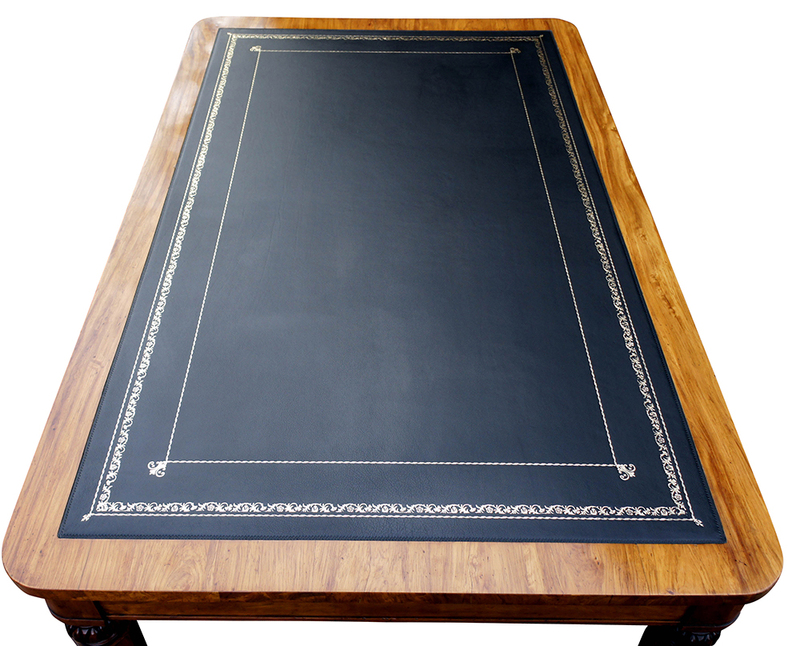 The large surface area makes this a very useful large desk or conference table for a large office or library. 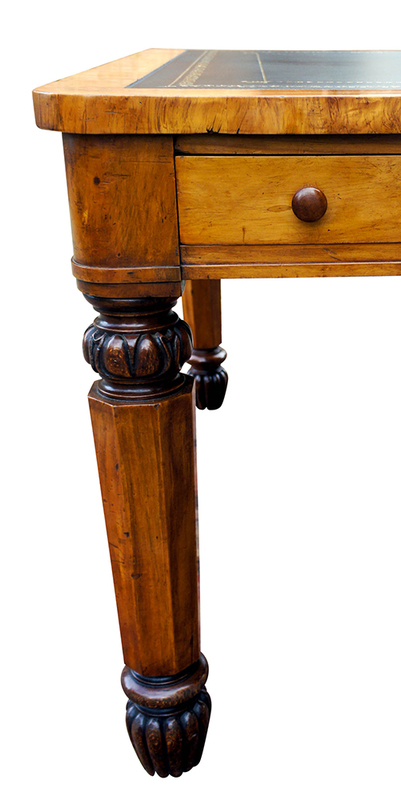 *Use of this timber in tables or desks from this period is rare. for decorative purposes in marquetry and cross banding for example.